Manchester High School is forcing all students to wear ID's at all times. More than 200 worried parents filled the Manchester High School cafeteria Monday night, wanting to know what is being done in the wake of a massive brawl inside the high school on Thursday. 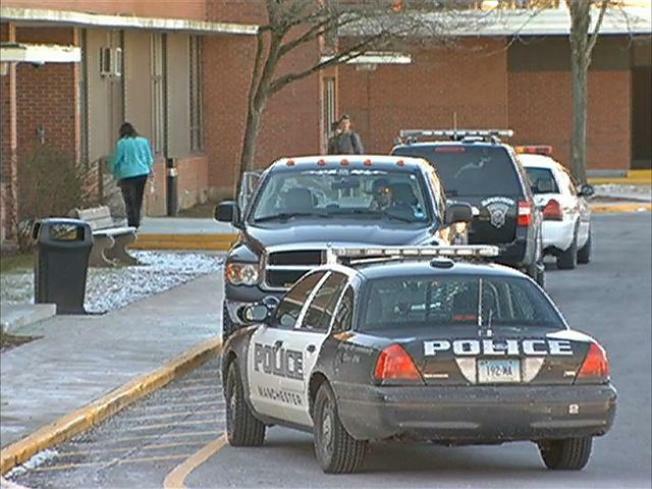 Police descended on the high school around 9 a.m. that morning after a fight broke out between students, some with ties to the Black Mafia and Teen Wave gangs, according to Manchester police. The school was put in lockdown for nearly 40 minutes, while officers broke it up. “All I saw was a bunch of cops, so I knew something wasn't right really,” Rachel DeCiantis, a junior, said. One parent and 19 students were arrested in connection with the brawl. Now students and parents want to know what's being done to prevent something like this happening in the future. Principal Kevin O’Donnell, who was just feet away when the fight broke out, said changes have already been put into place. Starting this week, all students must carry a school ID at all times. "It took us all day to process 239 students. That's how many student ID cards we made up today in order to make sure everybody was outfitted with one,” O’Donnell said. Some parents weren’t sure how locking the kids inside would improve the situation. "I'm not sure of the locking of the doors if the problem is inside and we need help,” Kerry Peters said. Parents asked if the violence was racially motivated and administrators said this was not a race war. "There were not a lot of surprises that that the students who were involved, were the students that were involved,” O’Donnell said. At the meeting, administrators would not talk about the punishments for the students involved. "There should be some privacy but in a situation like this there are 2,000 other IDs that need to be safe. Should be their first priority,” said parent Chris DeCiantis. Monday’s meeting was the second one held for parents. Students will have a chance to talk about the incident with their teachers during a special advisory period scheduled for Tuesday morning.